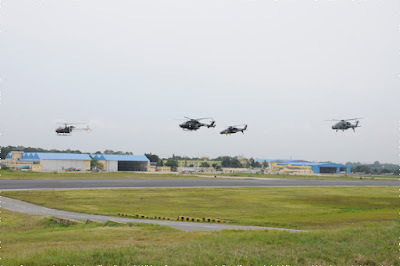 The Parliamentary Standing Committee on Defence witnessed a spectacular flying display that included formation of indigenised helicopters, LCA -Tejas, IJT, HAL upgraded Jaguar (Darin III), LCH and ALH Weaponised version (Rudra) at HAL airport here today. Major General B.C. Khanduri, AVSM (Retd) is the Chairperson of the Committee consisting of members from Lok Sabha and Rajya Sabha. He described the visit as “extremely educative” and valuable briefing from HAL. 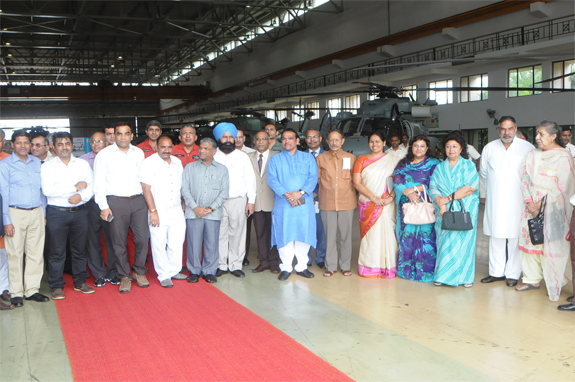 The members also visited HAL facilities at the Engine Division, Aerospace Division (PSLV/GSLV shop floors), ALH Design Hangar, ALH Flight Hangar and LCA Tejas manufacturing facility. Mr. T. Suvarna Raju, CMD, HAL and other senior officials accompanied the visitors. Later, a presentation on various on-going projects of HAL was made to the Committee members at HAL’s Bangalore Complex.